Ordering for an essay, research paper, dissertation, term paper or any other project and paying for the services you will be purchasing the project for personal and non-commercial use only. All projects are custom-compiled by professional writers who transfer ownership rights to CustomNursingPapers.com regardless of the product in question. Any other additional information on our services can be found on our FAQs page. 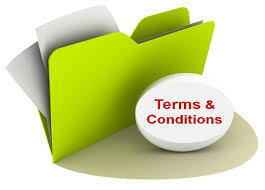 It is your responsibility and in your interest to read these term and conditions before purchasing any paper from us. CustomNursingPapers.com only delivers original and custom-compiled products. This company retains the full copyright of all composed material delivered to you by its affiliates, itself or its partners. By placing an order with CustomNursingPapers.com you agree to only use our custom products for personal and non-commercial purposes. This means that you will not sell, publish, distribute, modify, display, transmit or create derivative works from, or exploit any of our products or their contents without our consent. You also agree to defend, indemnify as well as hold CustomNursingPapers.com liable for any unauthorized use of our material that you may involve yourself into by using material bought from this website. Any unauthorized use of our content may be subject to both criminal and civil penalties. although sometimes we provide links with necessary information to other websites, we do not approve, certify, sponsor or endorse the content contained in other sites unless specifically stated therein. CustomNursingPapers.com is not an affiliate or owner of these websites unless otherwise stated; hence we are not responsible for any content that may be available to these other sites. Therefore, CustomNursingPapers.com hereby states that you link to other sites via the links we provide at your own risk. By placing an order with us you acknowledge that CustomNursingPapers.com reserves all rights to cancel agreements or contract with you or any other party that may condone or attempt to pass copy-pasted work as original content. You also agree that any content you purchase from CustomNursingPapers.com shall not be passed to third parties nor distribute it for payment or any other purposes. You also acknowledge that is CustomNursingPapers.com suspects of violations of any stipulated conditions, the company reserves the right to cease conducting any further services with you and with no refunds for previously purchased services at the time of the supposedly committed violation. You also agree that all products you purchase from this service are for research and reference only. You MANY NOT PUT YOUR NAME ON A DELIVERED PRODUCT AND TURN IT IN AS YOUR OWN WITHOUT PROPER CITATION. We do not encourage, condone or knowingly participate in any form of academic fraud either through plagiarism or any other form of academic dishonesty. We adhere to all of our copyright provisions and we do not allow any of our customers to participate in violation of any of our laws. By paying for an order with us you agree that any of our products delivered to you is only as a model research, example or only for reference purposes, otherwise any of our documents must be properly cited and attributed to this website. Neither CustomNursingPapers.Com nor any of its affiliates and/or partners will be responsible for any illegal, inappropriate, unethical or otherwise wrongful use of our products or any written material from this website. This includes lawsuits, plagiarism, expulsion, poor grading, academic probation, failure, suspension, loss of grants/scholarships/title/positioning/awards/promotions or any form of legal or disciplinary action taken against an individual using our products. The buyer of our material is solely responsible for any disciplinary or legal actions arising from improper use of our material which is only meant for personal use only! products purchased from CustomNursingPapers.com are refundable although they do not come with any warranties whether implied or expressed. Once we complete an orde4r, we may do a full or partial refund if our client is not satisfied with our order. For more information, CLICK HERE to see the full money back guarantee policy. All ideas or any information attained from the products we provide must be properly cited. All of our products are only provided as examples for referencing, research and teaching how to properly cite an academic paper in the right styles and formats. All products are acquired from in-house and freelance writers who have transferred all of their rights to CustomNursingPapers.com and or its partners and affiliates. You are also in agreement that you are making payments to this website for the efforts and the time invested in the collection, organizing, editing, organizing, posting and the delivering of the academic referencing products as well as for the administration, advertising, maintenance of this site for educational access. Aside from personal use, you may not publish, reproduce, transmit, modify, display or otherwise exploit products from this site without permission from CustomNursingPapers.com. You agree to destroy all products obtained from this website immediately you are done with your referencing/research. No copies will be reproduced or parts of the material used without proper citation. by placing an order with us you agree to release CustomNursingPapers.com and its officers, employees, directors, agents, shareholders, representatives, agents, subsidiaries, promotion and advertising agencies, fulfillment agencies or any other third party providers of information or legal advisors from any harm related to product’s harm and losses, rights, damages claims and legal actions that may arise from or related to product. This includes but not limited to; (a) telephone, hardware or software, email, internet, electronic difficulties or failures of any kind. (b), delayed, garbled, incomplete or delayed computer transmissions. (c), any situation brought about by events that are beyond the control of CustomNursingPapers.com and may cause product delay, interruption, product corruption. (d) Injuries, damages, losses of any kind that may arise in connection as a result of using our services (e), any typographical or printing error in any products associated with our services. Additionally, you also agree to indemnify, defend and hold CustomNursingPapers.com and its affiliates harmless from any suit, claim, demands (including attorneys’ fee) made by any third party due to use of our services, your violation of our terms and conditions, the violation of an associated third party or any other form of omission that you might omit. CUSTOMNURSINGPAPERS.COM WILL NOT BE LIABLE FOR ANY DIRECT OR INDIRECT, INCIDENTAL, SPECIAL, PUNITIVE OR CONSEQUENTIAL DAMAGES THAT MAY ARISE OUT OF OR IN CONNECTION TO THE USE OF THIS WEBSITE’S SERVICES. HOWEVER, THESE LIMITATIONS MAY NOT APPLY TO YOU IF YOU RESIDE IN A STATE OR A JURISDICTION THAT DO NOT ALLOW FOR LIMITATION OR EXCLUSION OF LIABILITY. We will not be liable for compromised work quality if submit quality work, but the customers alter the content of the received product without invoking the procedural revision process. If a customer deems a product to be of inferior quality they should immediately point it out to the editorial team or request for revisions through a live customer agent. Otherwise, any compromises on quality arising from unapproved corrections by the customer can result to the cancellation of the entire product and/or account if deemed necessary by the management. Leave your work to the experts if you decide to use this service, or have an editor approve any corrections you intend to make before submitting your research. By placing an order with us you agree and acknowledge that you have read and understood that we may change these terms and conditions unilaterally. We suggest that you keep visiting this page from time to time if you plan on becoming a regular user of our services.